So today is world war 3 – at least for India and Pakistan. It’s like everyone’s life depended on this game. Companies have given off. Year ending filings have all been postponed to tomorrow. Basically life has come to a standstill till the results are declared. The team which wins today will be considered God, and the team which loses will be called traitors – Forget the logic that one team has to loose today, no matter what, but for the losing country they will be traitors. Had it been the olden days, we would have made the losers sit on a donkey with their faces smeared with black soot and thrown them out of the county……..THANKFULLY SUCH THINGS CANNOT BE DONE TODAY. Anyway such is the illogical madness of a India-Pakistan World Cup Semi-FInal Match. But my topic is not about that madness. It’s about the pressure on me, to ensure India wins.. It so happens that I come from a crazy family. Apparently during the ’83 World Cup I slept through most of the match or at least the first innings. Not surprising as I was hardly a few years old and I could not make out head or tail of what the madness at home was all about. I did realise something major had happened when I was taken out in the middle of the night and we were all dancing and singing on the road and bursting crackers like it was Diwali. Anyway I digress. 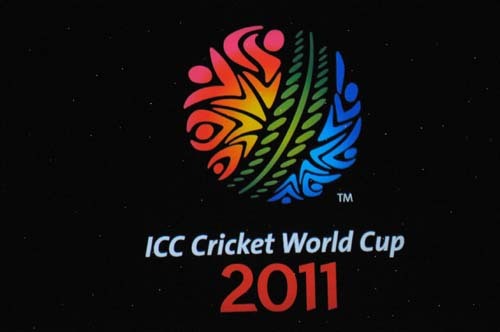 So it so happened that I slept and India won the first ever World Cup. From then on my dad made it mandatory for me to sleep during an important match. It seemed India was not winning cause it had any ability, but any victory was credited to my sleeping during the first innings of the match. I did ask my dad, can’t the India team pay me money to sleep cause after all its all cause of me, but then he said it would then amount to match-fixing. Hence the answer was no :). This madness was not just limited to cricket. I come from Calcutta where Football is another craze and world war 3 erupts everytime, there is an East Bengal and Mohun Bagan match. I remember as a kid, we used to stay in a locality where we were the only East Bengal supporters. Of course it so happened that during those days, most times East Bengal won. Anyway my duty was before the match I had to go knocking at every house and tell them they will loose, and after we won, I had to again go knocking at every door and call them losers. Oh and then I had to go hang a huge “Hilsa” Fish and the East Bengal flag from our window, just to rub salt in their wounds. Of course if the reverse happened all those families would call me moment I am out, and tell me the same thing. It did not matter that I was maybe a 2 year old and they were all 30 year olds and above, but yet the rivalry was on. Such was the juvenile madness. To make matters worse I had to wear the same red and yellow dress for 3 years, even though I had outgrown it ages back, cause that was the dress I wore when once East Bengal won by 6 goals. It did not matter that I was stifling in it, I had to wear it. I had to sit on the same spot and not move, even to go the restroom, cause Mohan Bagan had once given a goal when I had got up from my fixed place for 2 mins. Like I said, madness ruled supreme. Now Hilsa fish is a sign of East Bengal and Prawns were for Mohan Bagan. On the day of the match prawns were not allowed even in the vicinity of home. Once I went somewhere and by mistake had just one tiny piece of prawn and sadly Mohan Bagan won that day. My dad called me a traitor and all, till ma got up and literally threatened to divorce him if he tortured a 3 year old with such nonsense. But such was the madness at home. Now forward to 2011. My dad is no longer there, but am sure wherever in heaven he is, he is torturing people up there with similar madness to ensure India wins. And back here on earth, the tradition of my torture continues, even though Baba is not there. My partner has already warned me if I do not sleep during the match and God forbid something bad happens, we can forget our partnership and all. He will not even talk to me again. Friendship and business be damned. And of course so is India’s ability. So here I go to sleep in a short while from now. Just remember if India wins, its cause I slept. Of course if they loose, its cause of their inability. On that note, cheers to India. For God’s sake win the match. I am finally back. I know been off for quite some time now, but just that been unwell and too many things going on. Anyway back today. Guess lot’s of things to write about.